You may not realize it, but custom lockers can be a real benefit to your business. Investing in your business and employees is important for a successful experience as an owner. Find out these five reasons why your business is in need of custom lockers and how this investment can help you thrive in your industry. Your employees have a routine and getting them a company locker will not only help improve their routine, but it serves as a real morale boost. By showing your employees that you care enough to invest in the security of their belongings will mean a lot to them. It will boost how they perceive you as a manager and will give them a place to call their own. If you really feel like boosting morale, after your custom lockers are installed, host a company-wide locker decorating potluck. All of these, aside from some lunches, can be safely store in a company locker that helps clear up desk space for more room to breathe. Hot Desking is a new office term that helps to promote a sense of community. Studies have shown that people are much less productive when they work in the same location in the office every day. By bringing in custom lockers, you are able to open up the possibility of implementing a hot desk policy. Hot desking means that no employee has permanent ownership of a particular desk. It helps to promote staff mingling and has been shown to successfully help a business attain its goals. If you have a large office and are looking to make some money on the side, by adding in custom lockers to your office, you can temporarily co-rent office space to other companies. With lockers, your renters can have their own space to store office supplies and work. This prevents any unwanted mix-ups that could potentially sour this type of arrangement. Sometimes you need to be extra safe with your company’s secure information such as employee documents, high-priority project plans, and much more. 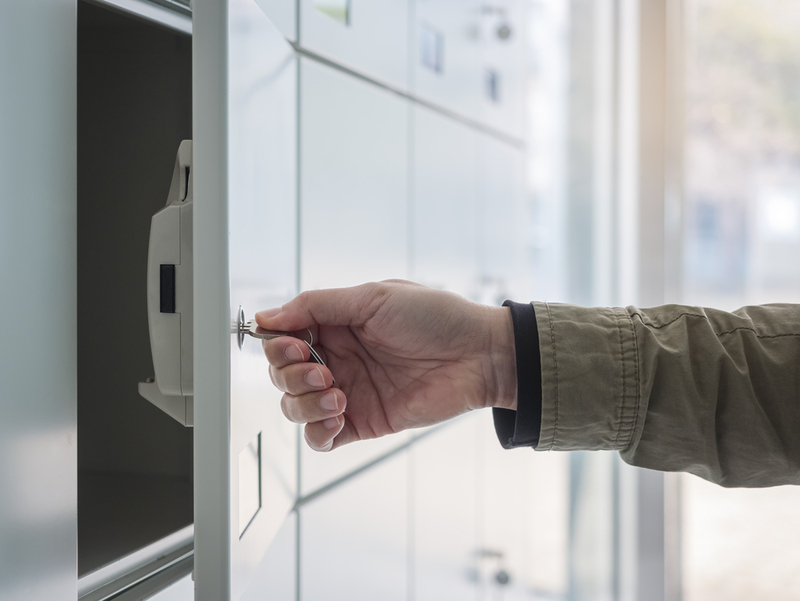 With custom locks for your company lockers, you will be able to keep track of what goes where and only a select number of people will be able to have access to this information. Most business owners think that lockers are just for schools, gyms, and country clubs. Well, they can be very beneficial in the office space as well. With Legacy Lockers on your side you will have the power to design custom lockers for your business that fit your industry’s style. Contact us today to find out how to get started on your next locker project.